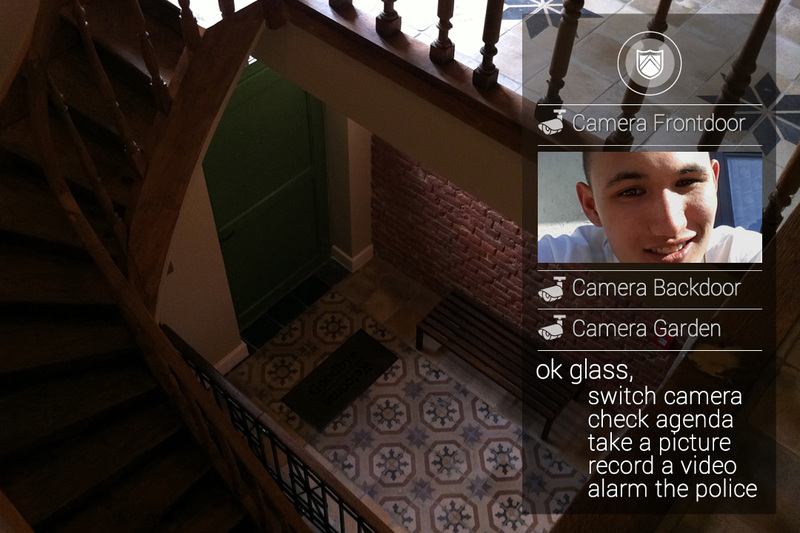 Imagine that with Google Glass you can see and recognize a person when he rings the bell at the front door. check your appointments in your online calendar. When it’s an 'unknown person' at the door, a picture can be taken automatically and you can record the conversation that takes place through the intercom or when you open the door. That way you can report fraudulent sellers and nuisance to the police afterwards. In case of emergency, you can sound the alarm with automatic transmission of all relevant evidence and the location. 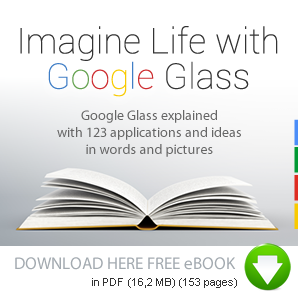 A network of security cameras can of course be operated with Google Glass. Security will no longer be confined to a wall of screens.